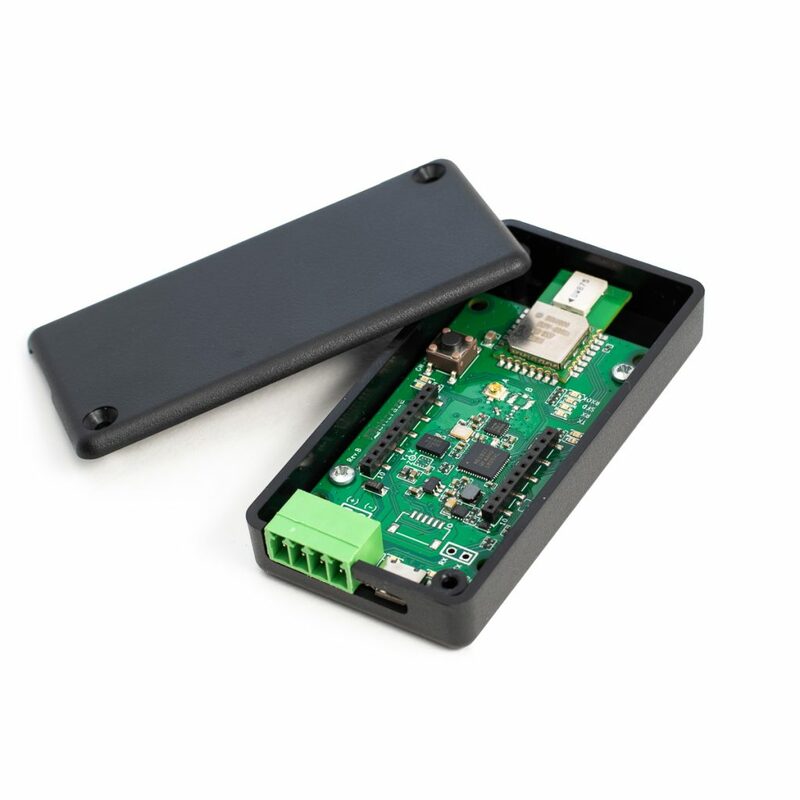 Last week we have been focusing on making a release for nearly all our firmware and software. This was done mainly to support the new products we will release this fall but it also contains a lot of other functionality that have been added since the previous release. In this blog-post we will describe the most important features of this release. Flow deck V2 and Z-Ranger V2: New versions of the flow and Z-Ranger deck that uses the new VL53L1 distance sensor. 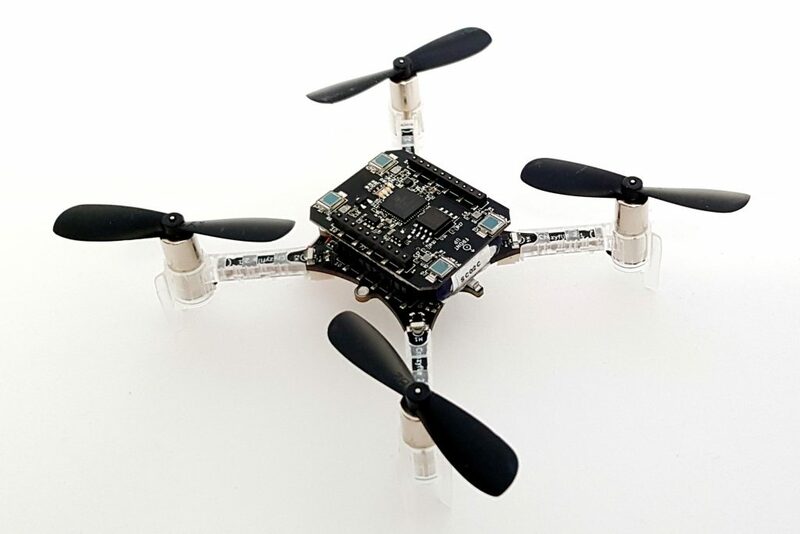 Drivers are implemented in the Crazyflie firmware and the client has been updated to allow flying up to 2 meter in height hold and hover modes when the new decks are detected. The Flow deck V2 is already available in our webstore. The Z-Ranger V2 and Multiranger will be available in the following weeks, stay tuned on the blog for updated information. Modular controller and estimator framework that allows to switch the estimator or the controller at runtime. Practically it means that it is not required to recompile the firmware to use a different controller anymore. Addition of a high-level commander that is able to generate setpoints for the controller from within the Crazyflie. The high-level commander is usable both from Crazyswarm and from the Crazyflie python library. 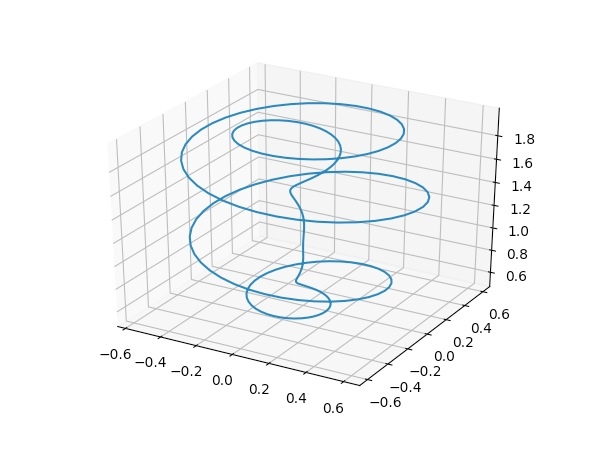 It currently has commands to take-off, land, go to a setpoint and follow a polynomial trajectory. It is made in such a way that it can be extended in the future. Addition of the Mellinger controller: a new controller that allows to fly much tighter and precise trajectories than the PID controller. 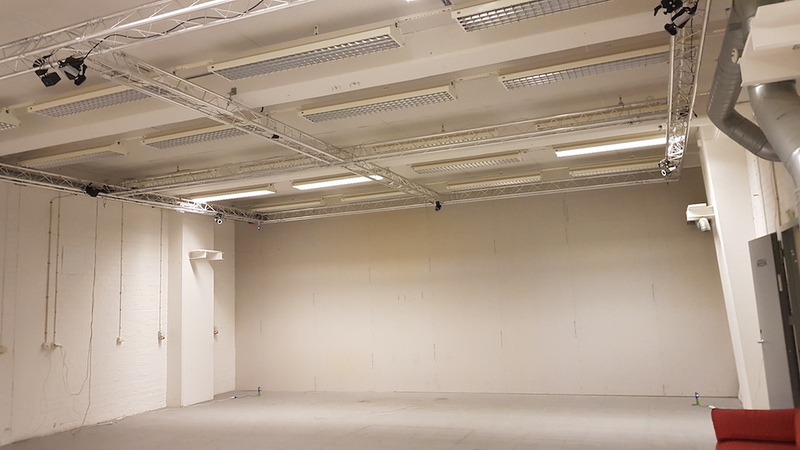 It is tuned pretty tight so it is currently mostly usable using a motion capture or lighthouse as positioning and togeather with the high-level commander. As usual the release build and release note is available on Github. 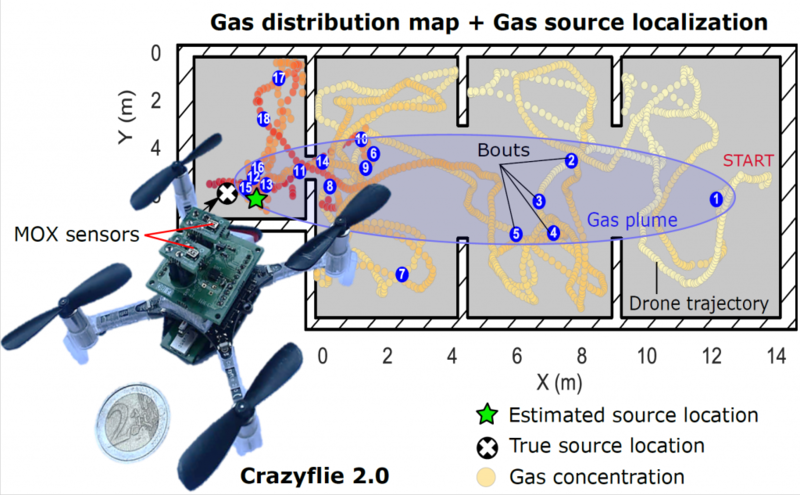 The Crazyflie client and lib are also available as python pip package as cfclient and cflib. Last week half of Bitcraze, Kristoffer, Tobias and Arnaud were at IROS 2018 where we had an exhibitor booth. 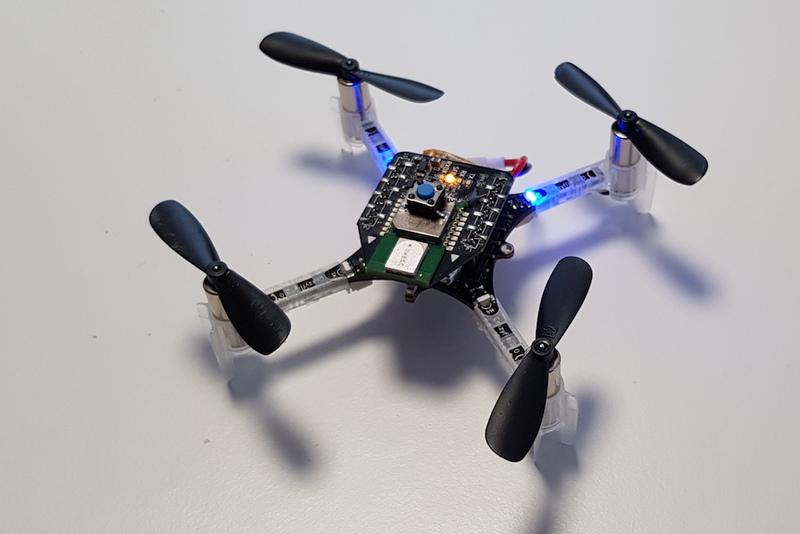 We have had a great week and met so many interesting and inspiring people, both users of the Crazyflie as well as persons curious in what we do. Thanks to everyone that passed by the booth, it is awesome to hear how Crazyflie is used and how we can improve it even more. 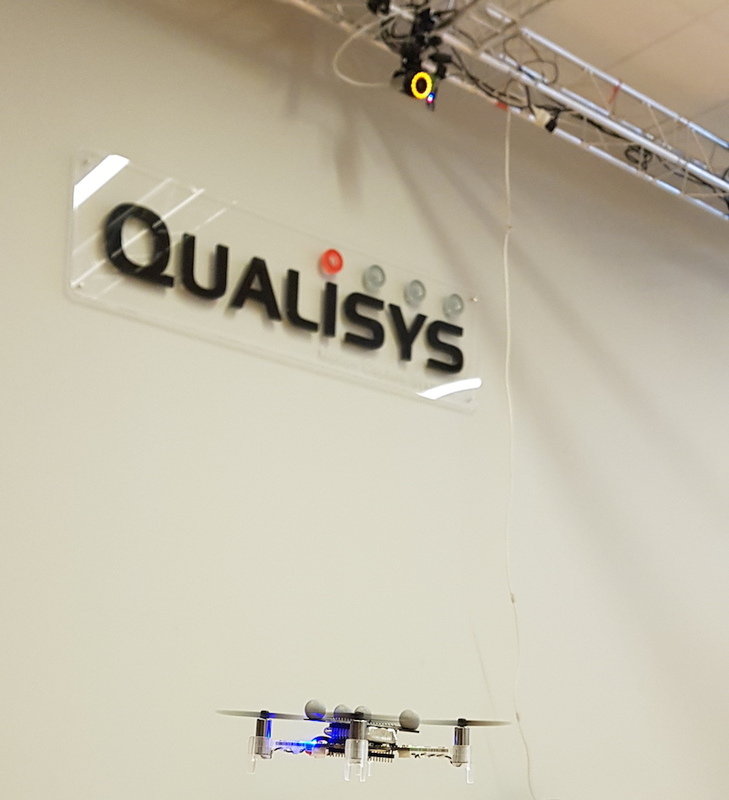 This year we invited Qualisys to share the booth with us, they kindly provided a motion capture system and we had the pleasure to be joined by Martin to help us and present Qualisys. Demo-wise we had prepared a bunch of demos which you can read about in our previous post about IROS. It won’t surprise anyone to hear that not everything has been working as planned. The Lighthouse demo did not work when we set it up in the booth (it did in the office!) but some live hacking solved the problem on Tuesday. 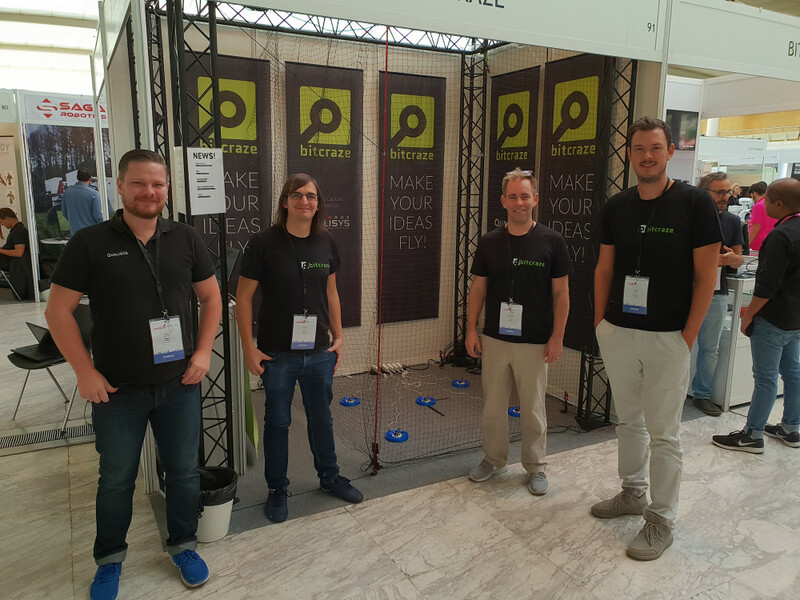 We also had unexpected issues with the Crazyswarm demo: our landing pad design and flight trajectory was working very well in the office, but in the booth we experienced much more instabilities that prevented us to successfully fly and land all 6 crazyflies in Crazyswarm. We still need to investigate what happened. 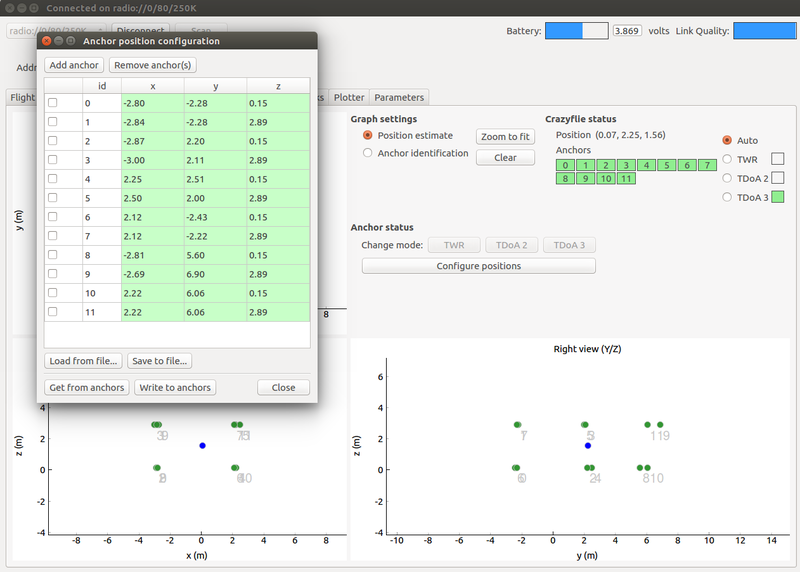 The autonomous demos, both using the UWB Loco Positioning System and Lighthouse (when fixed), have been surprisingly robust: they do not require a connection to a computer and they worked almost all the time, when they failed they failed without drama and could be reset very quickly. Overall we have been able to accumulate flight time and experience much quicker in this last week than in the last months, now we have a lot of things to test and improve and also a lot of things we can be much more confident about. 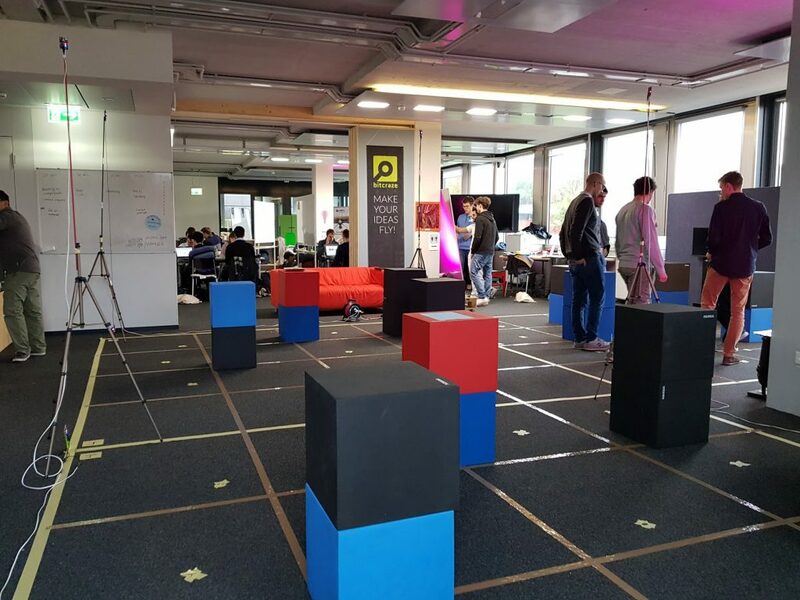 We have been fixing and improving the demo during the event and we will write more blog posts in the coming weeks about things we have developed and improved for and during IROS. To conclude, thanks again to everyone that dropped by the booth, this kind of event always make us come back with a boost of motivation and fresh new ideas and it is all thanks to you!